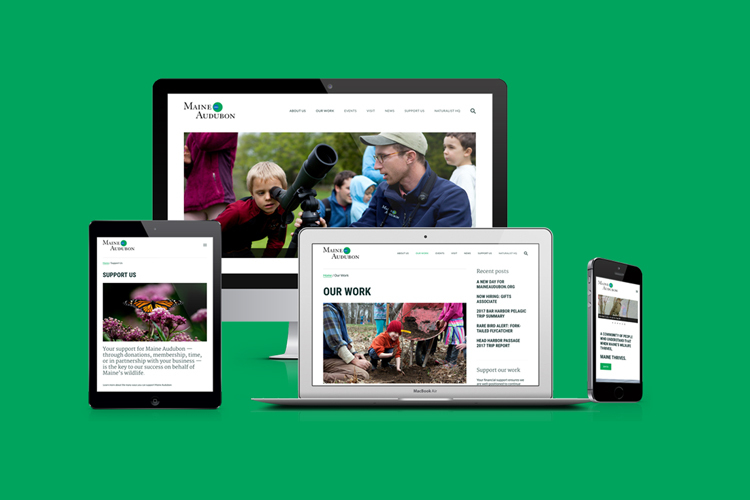 Maine Audubon’s website redesign focused on delivering a broad array of content to an equally diverse audience. Based on the map provided by Maine Audubon, RainStorm helped to select a commercial WordPress theme and customize it to meet Maine Audubon’s requests. An additional theme was created for use by individual chapters. The site includes all the standard WordPress features (news, updates, media library, pages, posts, and other tools) but also includes certain pages designed to hold special content for the Audubon centers and sanctuaries, which needed a consistent presentation for general information, directions, history, media presentations, and trail map links. 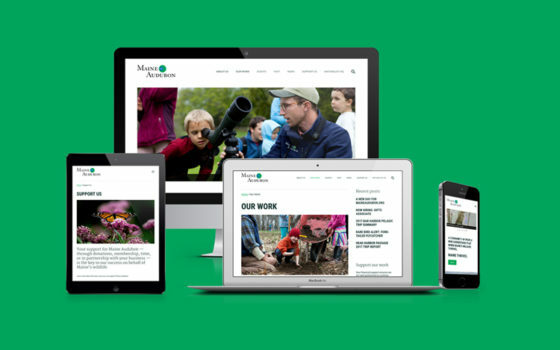 The mobile-optimized site connects visitors to Maine Audubon through beautiful images (including a regularly-updated and featured Instagram feed) and helps to tell the stories of conservation, environmental education, and advocacy for Maine’s wild places and creatures.